On Boxing Day my oldest daughter and I set out for a US 17 Coastal Highway Holiday Road Trip. First stop, our small little condo in Oriental, North Carolina — just for the night and to re-sort and re-arrange all of our Vera Bradley traveling bags and totes. On Friday the 27th officially off to see the USS North Carolina in Wilmington, North Carolina. The USS North Carolina, commissioned 9 April 1941, faced battle in the Pacific during World War II. It was decommissioned on 27 June 1947. The Ship sat in Bayonne, NJ for the next 14 years. The citizens of North Carolina purchased the ship from the Navy for $330,000 after stricken from the Naval Registers in 1958. The Battleship arrived in Wilmington on 2 Oct 1961. Part of the grounds includes a lovely park dedicated to “sailors on eternal patrol.” Across the river, a view of Wilmington. Southport, North Carolina, about 40 miles from Wilmington, was a lovely stop for lunch before continuing to Savannah, Georgia. The next morning — Savannah. 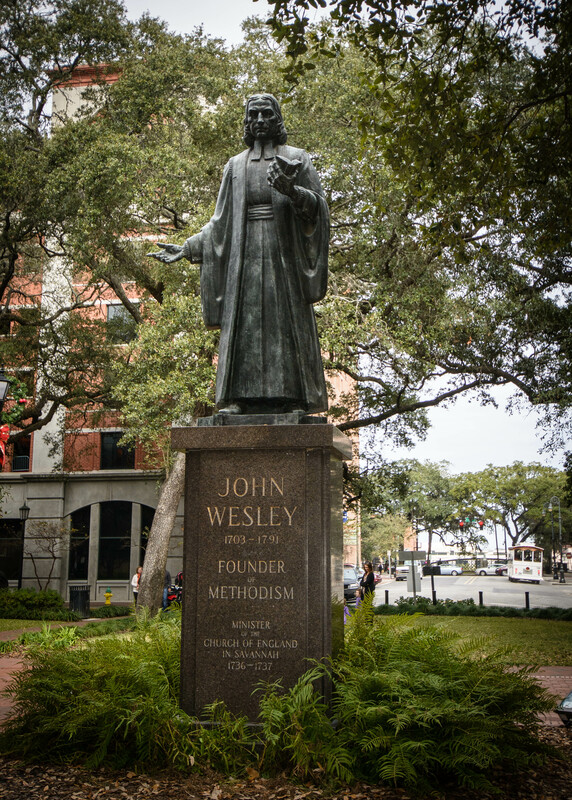 We walked down Bull Street to Forsyth Fountain stopping at Johnson, Wright, Chippewa, Madison and Monterey Squares. 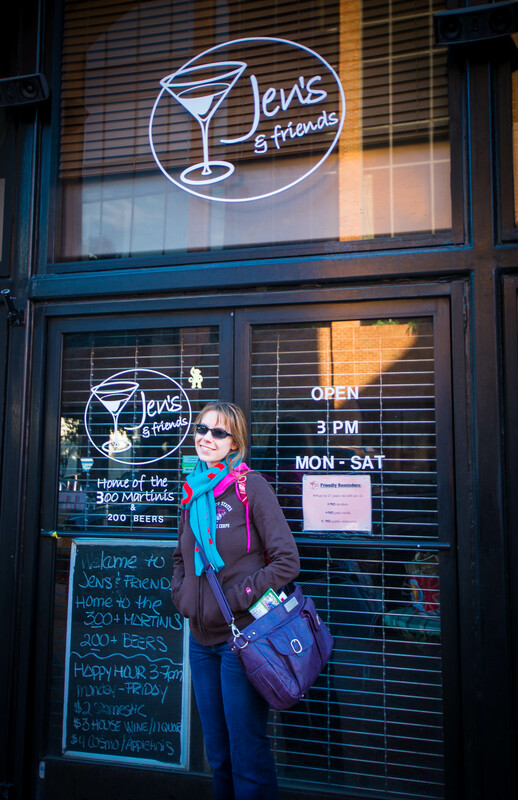 We stumbled across a “Jen’s and Friends” restaurant on the walk. 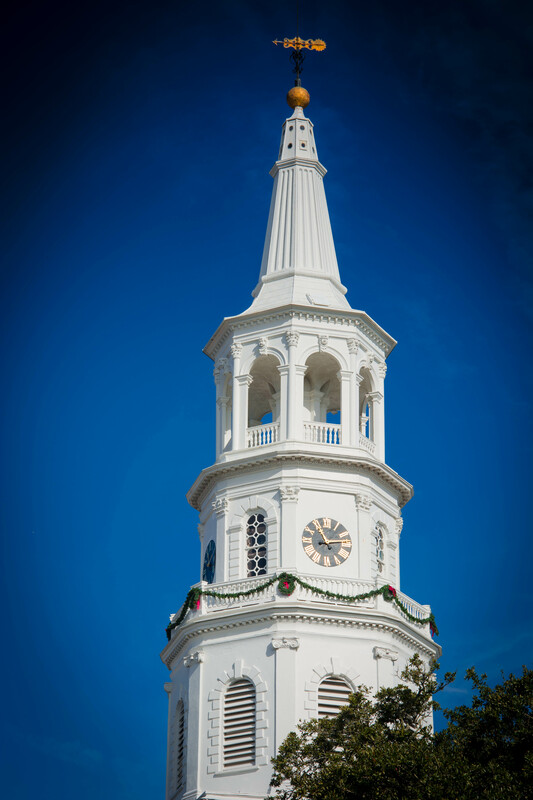 On the return trip up Abercorn Street we found the Cathedral of St. John the Baptist, a must-see on my list of places to visit and worthy of its own post. On the corner of Abercorn and Oglethorpe Streets we stumbled upon Colonial Park Cemetery. 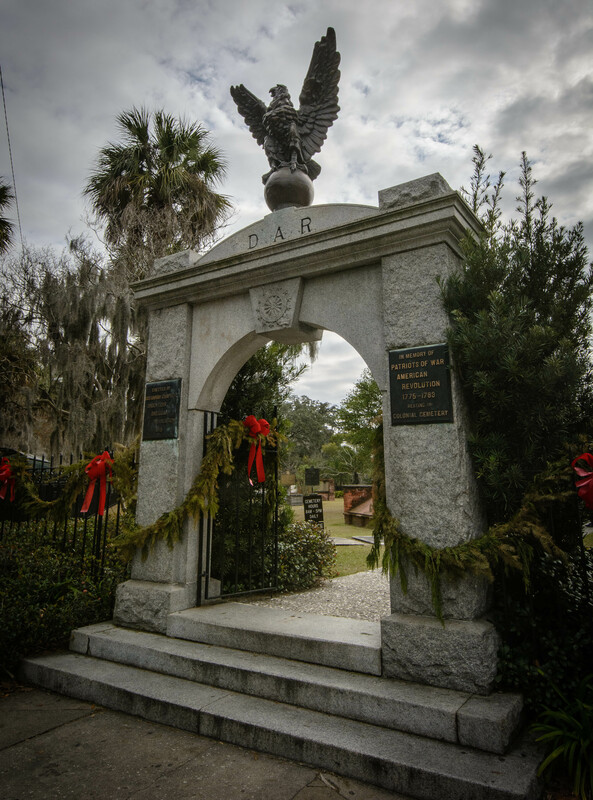 Colonial Park Cemetery was established about 1750 and home to some of Savannah’s earliest citizens, including more than 700 victims of the Yellow Fever epidemic in 1820. We drifted through the City Market including Paula Deen’s place to see what was cooking– nothing much. Next stop Bonaventure Cemetery also worthy of its own post. Late afternoon to evening was spent at Tybee Island, Georgia about 20 miles east of Savannah. 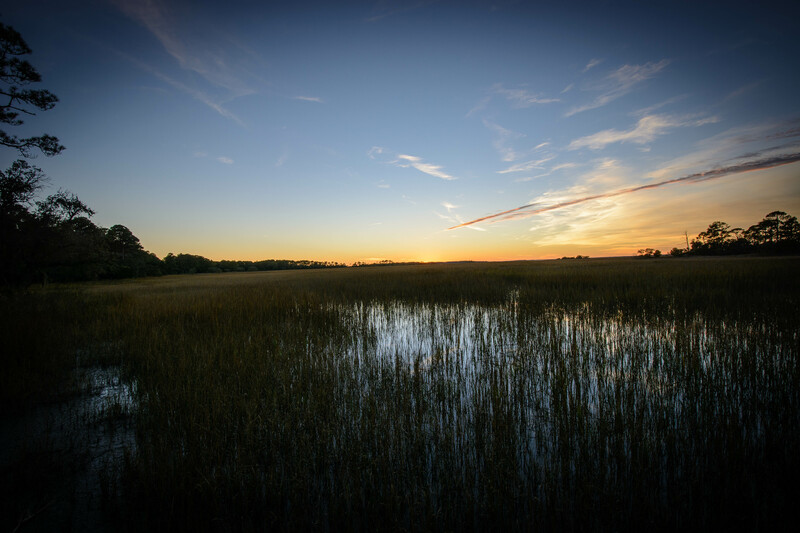 Tybee Island is home to the lighthouse and Fort Pulaski. 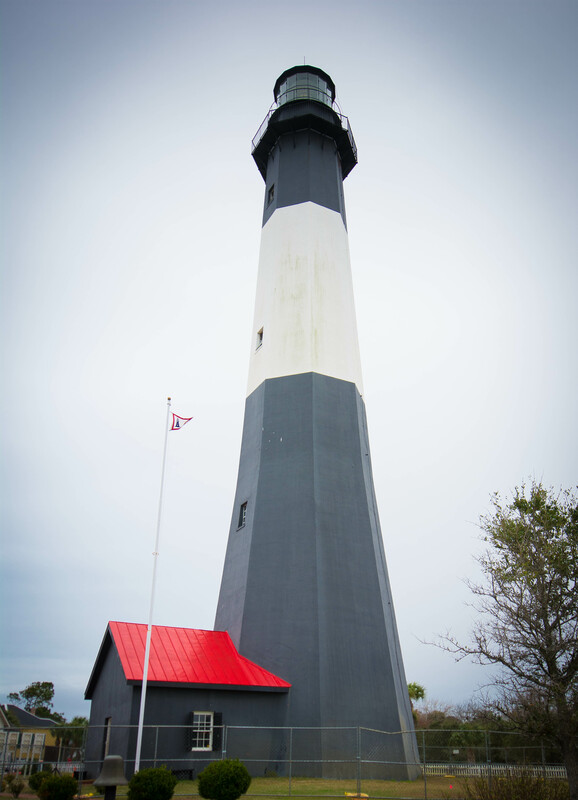 Tybee Island Lighthouse is one of seven surviving colonial era lighthouse towers. The lighthouse was opened in 1736 and first lit in 1867. Fort Pulaski, governed by the National Park Service, was actually completed in 1847 after 18 years of construction and over $1M in construction costs. Wood pilings were sunk 70 feet into the mud and support an estimate 25,000,000 bricks. 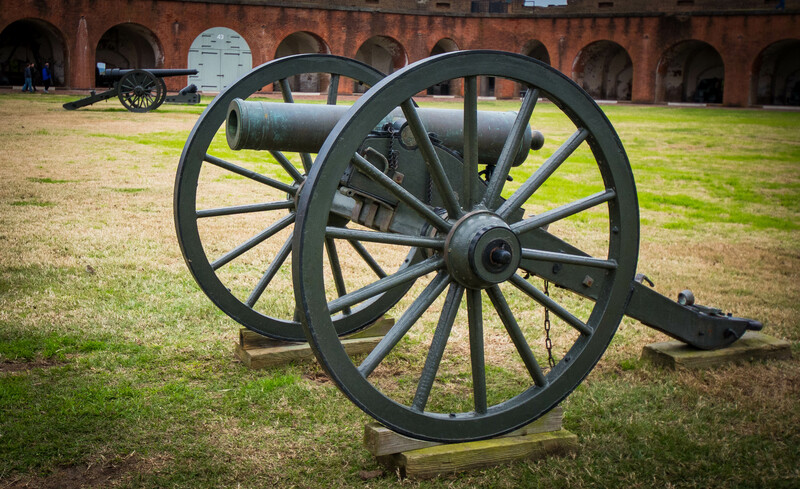 During the Civil War, the Union Army, successfully tested a rifled canon which caused massive damage to the walls of the fort. The fort was also used as a Prisoner of War Camp. The drive to Hilton Head was in the rainy dark but what a rest for the weary we found — great food, great hotel. 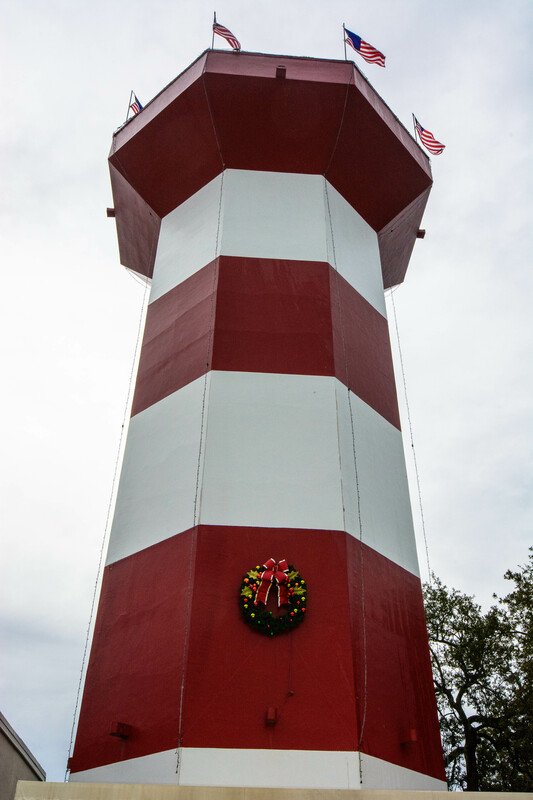 After an early morning torrential downpour we were off for a visit to Sea Pines and to see the Harbour Town lighthouse. Although a beautiful area, even on a gloomy day — we spent little time in the overly priced Hilton Head and headed to Parris Island! One of my favorite spots and worthy of its own post. 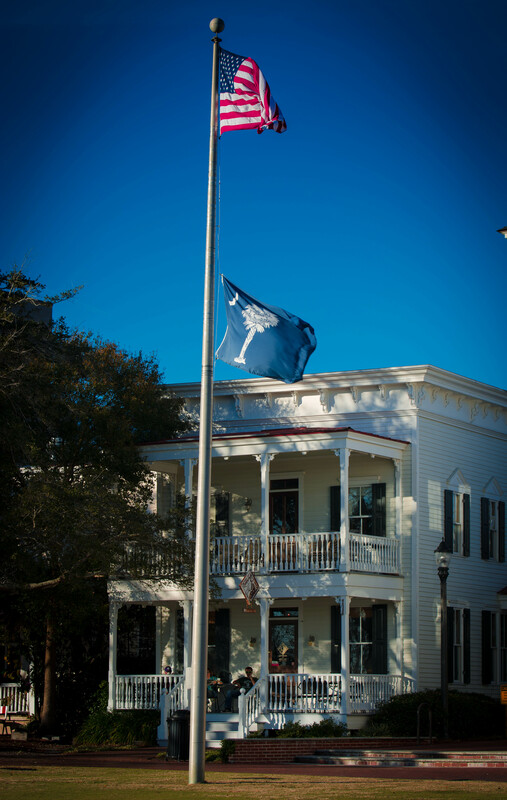 After Parris Island, we walked through the lovely town of Beaufort, South Carolina (not to be confused with Beaufort, North Carolina– same spelling a distinctly different pronunciation). The little town of Beaufort is the only place where I actually purchased a souvenir for myself, a hoodie jacket sporting “Beaufort, South Carolina”. Off to Hunting Island after our walk and small shopping spree through Beaufort, where we found our third and final light house on the trip and the best, if not the only real, sunset of the entire trip. Our last major stop — Charleston, SC where we strolled the City Market, enjoyed the water front and walked the Museum Mile. About half-way between Charleston and Myrtle Beach is a lovely little city (although more like a small town), Georgetown, South Carolina. 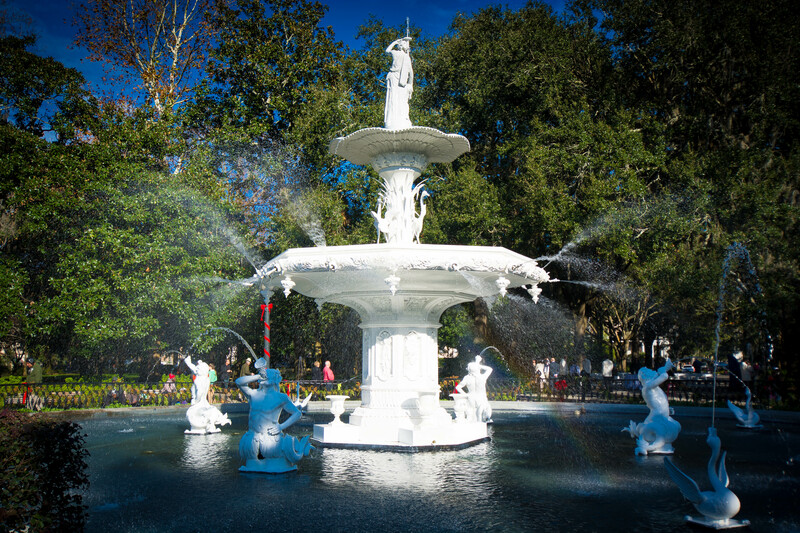 Georgetown is the 3rd oldest city in South Carolina. We had a wonderful lunch on the water and soaked up the sights as we drove through the small town. Our final leg of the trip took us through Myrtle Beach, South Carolina and Oak Island, North Carolina — our last stop at Dairy Queen before a late Oriental arrival.